"Is your pump running out of breath?" 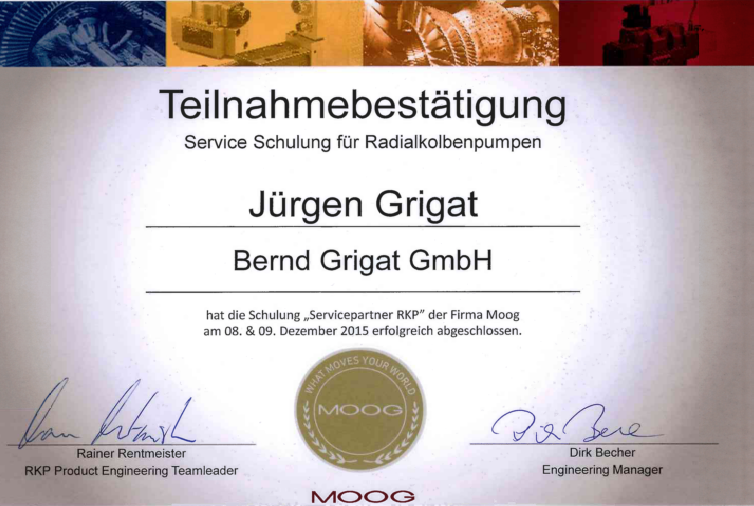 we offer you a repair for your radial piston pump. 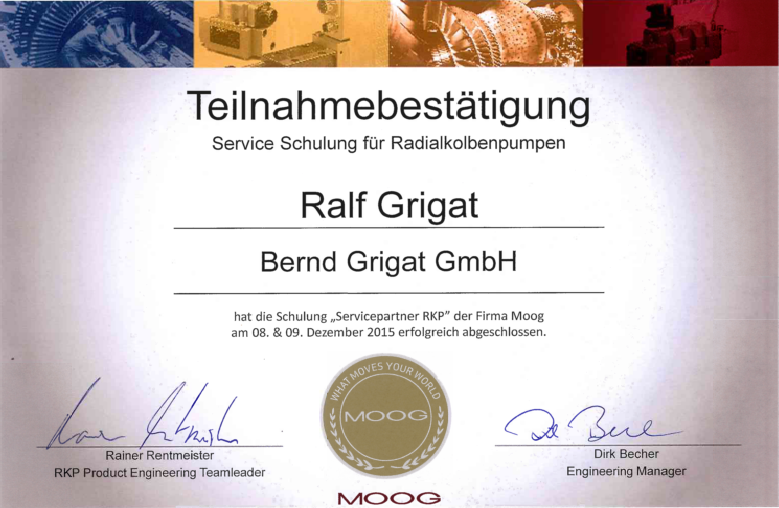 As "servicepartner RKP" of Moog we have fundamental knowledge.